Walk in the footsteps of Bilbo and Frodo Baggins! Knock on the door of Bag End and pretend that you are Gandalf the Grey! The tour was as described, it was a great experience for myself and my LOTR fanatic partner. The tour guide was awesome and shared lots of stories so that the Long journey there was bearable. The Hobbiton guide was very engaging and knowledgeable. The Glowworm cave was also a fantastic experience. Recommended activity and the timing allocated for each activity is just nice. 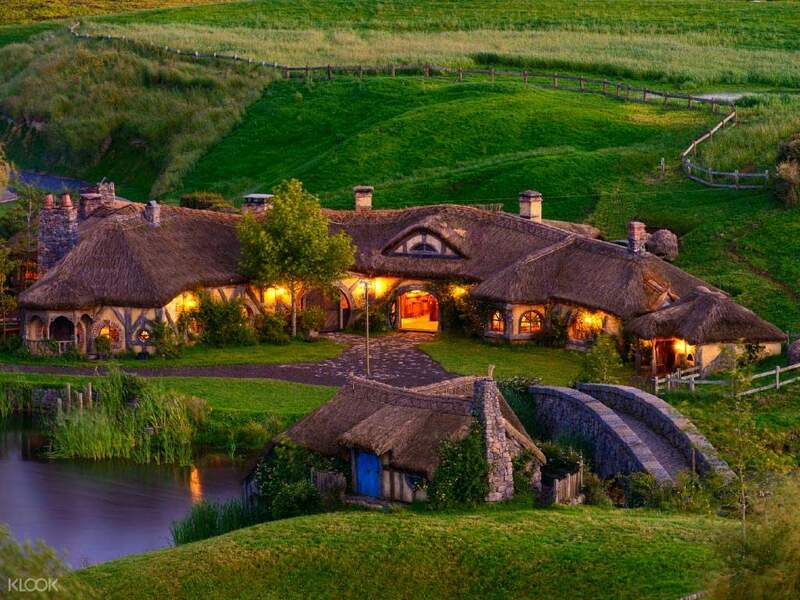 Spend a day at the famous 'Hobbiton' - the beloved shooting location of blockbuster hit, the Lord of the Rings. Start the day with a pick up from your hotel in Auckland aboard a luxury coach. While en route to Hobbiton, enjoy the entertaining commentary from your English speaking guide. 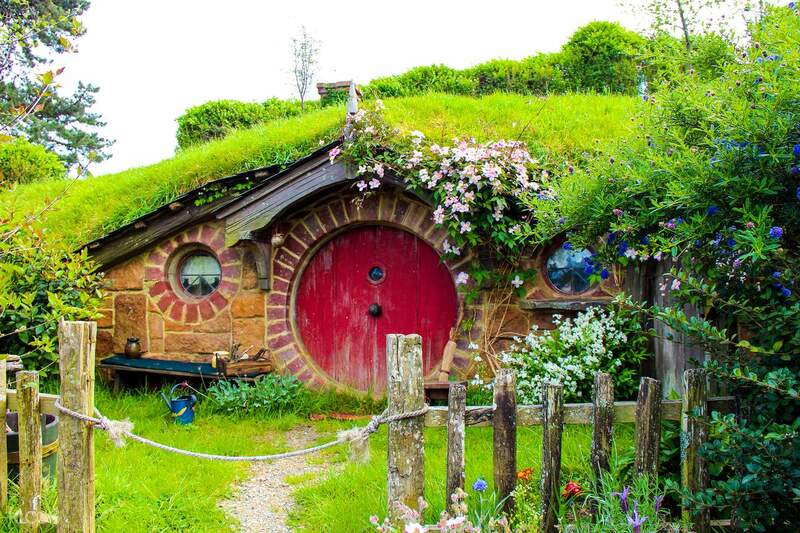 As soon as you arrive at the location of the Shire, embark on an exciting guided tour of Hobbiton. See 44 hobbit holes, the Mill, the double arch bridge, the party tree - where Bilbo disappeared, and the Green Dragon Inn. You can even take photos at Bilbo's house, "Bag End" and marvel at the fantastic views of the entire set in the distance. 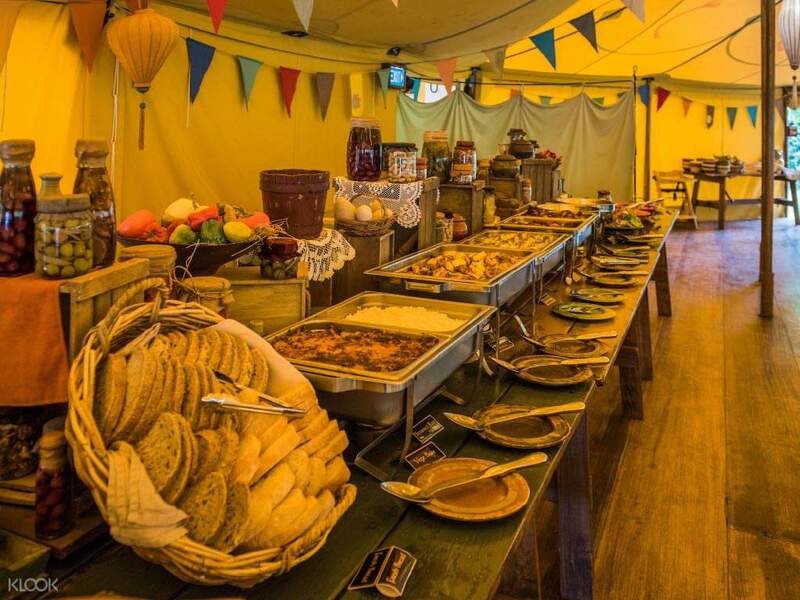 For lunch, indulge in a delicious Hobbiton-style themed buffet lunch at the Shire Party Marquee, a perfect meal for a hobbit. 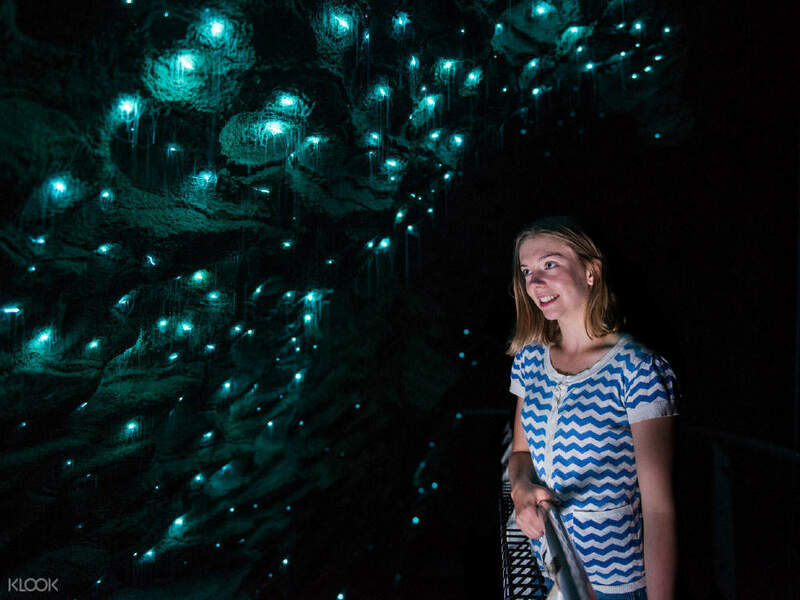 After lunch, visit the world famous Waitomo Glowworm Caves, and go on a magical 45 minute guided tour through the underground caverns. There, you'll learn about stalactites, stalagmites and other limestone structures, and see the Glowworm Grotto lit with glowworms overhead. The tour ends with transfers back to Auckland aboard a luxury coach, where you can take in the breathtaking sights of New Zealand on the way back. The Hobbiton movie set is so attractive, although I am not really a fan of those movies. And when I see the glow worm on the cave, I was so touched. It was a fabulous experience. However, there was an incident that shocked me, not in a positive way. The driver leave 2 passengers behind because they were late. The 2 passenger says they were late for 2 mins, then they can’t find the bus and driver. I don’t know how they went to Hobbiton movie set when they missed out the bus. They join back the group after our lunch. The Hobbiton movie set is so attractive, although I am not really a fan of those movies. And when I see the glow worm on the cave, I was so touched. It was a fabulous experience. However, there was an incident that shocked me, not in a positive way. The driver leave 2 passengers behind because they were late. The 2 passenger says they were late for 2 mins, then they can’t find the bus and driver. I don’t know how they went to Hobbiton movie set when they missed out the bus. They join back the group after our lunch. What a carefree day to visit Hobbiton and Waitomo Caves! From the morning pick-up to evening drop-off, driver and guide just did a great job to bring us a wonderful day. What a carefree day to visit Hobbiton and Waitomo Caves! From the morning pick-up to evening drop-off, driver and guide just did a great job to bring us a wonderful day. Well-planned activities. It was my first time to go on a tour alone and this did not fail - felt safe, time was maximised and experience was great, definitely memorable. Well-planned activities. It was my first time to go on a tour alone and this did not fail - felt safe, time was maximised and experience was great, definitely memorable. Excellent all around way to spend a day, other than the early wake up call it is all pretty effortless. Excellent all around way to spend a day, other than the early wake up call it is all pretty effortless. worth it! the bus picks you up and drops you off at most accommodations in the cbd. The bus driver also gives info on the places you pass through. Hobbiton is nice, even though there were a lot of of visitors (especially at summer) the tour guide’s program flowed smoothly. The free drink and lunch was delicious. Waitomo glow worm was short but the underground river boat ride made up for it. Visitors’ can’t take pictures during the whole tour though but this is understandable for safekeeping the caves. worth it! the bus picks you up and drops you off at most accommodations in the cbd. The bus driver also gives info on the places you pass through. Hobbiton is nice, even though there were a lot of of visitors (especially at summer) the tour guide’s program flowed smoothly. The free drink and lunch was delicious. Waitomo glow worm was short but the underground river boat ride made up for it. Visitors’ can’t take pictures during the whole tour though but this is understandable for safekeeping the caves. great tour and guide! brian our bus driver is really good! great tour and guide! brian our bus driver is really good! The tour was as described, it was a great experience for myself and my LOTR fanatic partner. The tour guide was awesome and shared lots of stories so that the Long journey there was bearable. The Hobbiton guide was very engaging and knowledgeable. The Glowworm cave was also a fantastic experience. Recommended activity and the timing allocated for each activity is just nice. The tour was as described, it was a great experience for myself and my LOTR fanatic partner. The tour guide was awesome and shared lots of stories so that the Long journey there was bearable. The Hobbiton guide was very engaging and knowledgeable. The Glowworm cave was also a fantastic experience. Recommended activity and the timing allocated for each activity is just nice. It was a great experience. Hobbiton was amazing just like the real movie. The tour and the lunch were great as well. Lunch is buffet style btw. I just love everything I saw at the hobbiton. Waitomo cave was super beautiful and I enjoyed to be in there. The tour guide from our tour was great as well. His name is Brian and he gave us the greatest tour ever. Just the pick up time from our hotel was late and didn't give us any notifications either. Hope they can do better next time. It was a great experience. Hobbiton was amazing just like the real movie. The tour and the lunch were great as well. Lunch is buffet style btw. I just love everything I saw at the hobbiton. Waitomo cave was super beautiful and I enjoyed to be in there. The tour guide from our tour was great as well. His name is Brian and he gave us the greatest tour ever. Just the pick up time from our hotel was late and didn't give us any notifications either. Hope they can do better next time. Hobbiton was so beautiful and Waitomom carve was amazing. The driver and tour guide were so nice and good knowledge of NZ and those two spots! Hobbiton was so beautiful and Waitomom carve was amazing. The driver and tour guide were so nice and good knowledge of NZ and those two spots!